Nigerian soldiers on Tuesday disarmed two suicide bombers who were strapped with explosives killing one and saving the others life. Police said they were believed to be prepared by Boko Haram extremists to attack the northeastern city of Maiduguri. After being ordered to halt by two soldiers who were on guard duty, the two females whom witnesses believe to be as young as 18 years old continued to move towards a gas station. Soldiers then shot and killed one of the women, while the second then surrendered. Both were wearing explosive jackets but were disarmed by the soldiers according to police spokesman Victor Isuku. Nigerian troops and self-defence civilian fighters have continued to tackle extremist behaviour. Increasing their securities to cities and towns including body searches outside popular locations like markets and mosques. Still dozens have been killed in recent bombings. 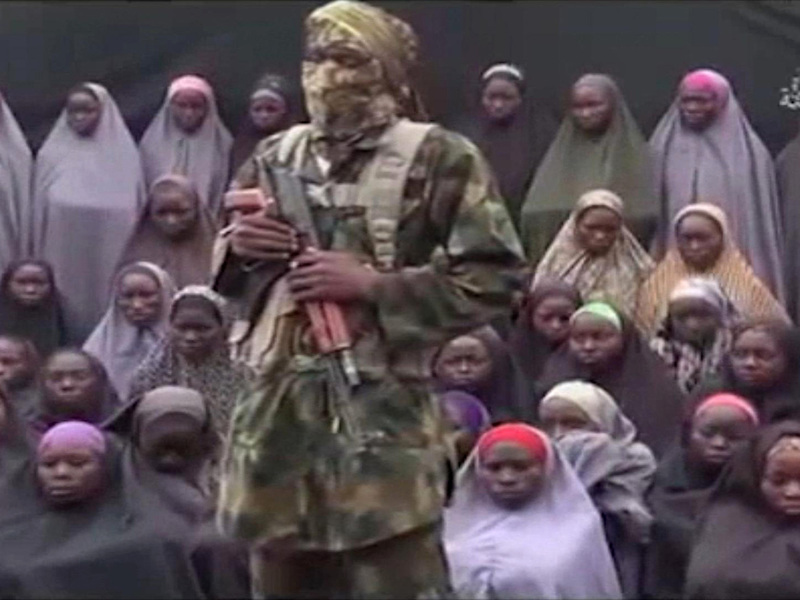 Boko Haram has used scores of women and girls as young as 7 as suicide bombers, raising fears that the extremists are turning some of their thousands of kidnap victims into weapons. The incident occurred on the outskirts of Maiduguri, the birthplace of Boko Haram and headquarters of the military campaign to curb the seven-year Islamic uprising that has killed more than 20,000 people and left 2.6 million homeless. More than 120,000 Nigerians likely will suffer “catastrophic” famine-like conditions caused by Boko Haram’s Islamic uprising, among 11 million confronting severe food shortages this year, according to a new U.N. report. U.N. agencies have reported that children already are dying in that region and more than 500,000 face death if they don’t get help.